TCS – Green Space Alliance | Urban designers | Planners | Landscape Architects. 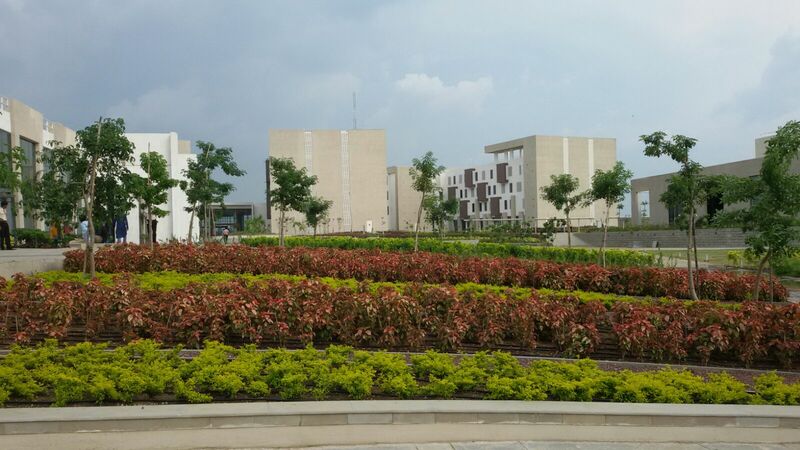 GSA designed an extensive landscape plan for the TCS Mihan development, within the Special Economic Zone outside Nagpur City, that represents one of India’s most advanced information technology campuses and is the largest development to date within Mihan. The first phase of the development consisted of four IT-related buildings, customer care centre, transport terminal, food court, and playing fields. The landscape design reflects TCS’s modernist architecture through the landscape with a network of paths, curvilinear overlay of trees, and shrubs and groundcover that create an ever-changing visual sequence as one travels through the site. 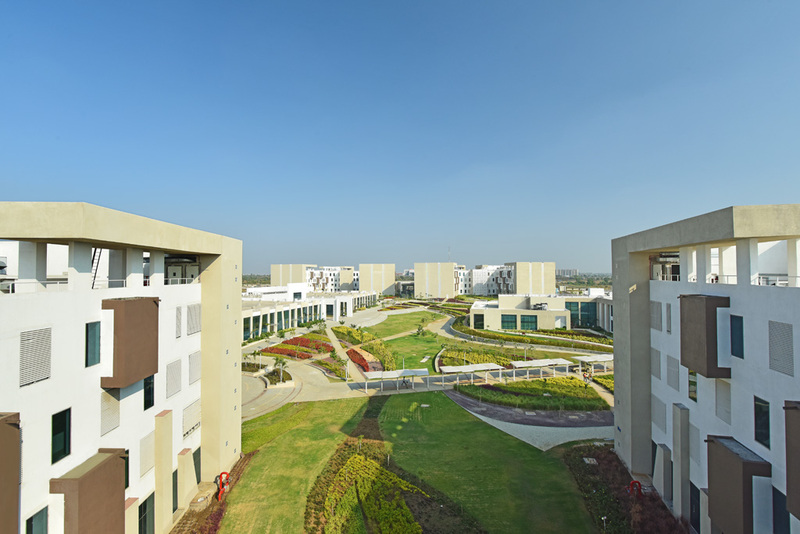 The pathways link each workplace with the integrally designed leisure facilities where cafe terraces overlook a cricket field, and tennis and basketball courts. GSA’s tech-friendly and sustainable design addresses campus-wide stormwater management and habitat enhancement by incorporating permeable paving, rain gardens, green roofs, and carefully selected drought tolerant plant species into the deign. The result of incorporating stormwater management deign features throughout the campus is the provision of shaded areas, reduce runoff, reduce water consumption and support of the natural habitat. The holistic landscape system accurately reflects TCS’s forward-looking design as well as its scientific mission.